Integrated Technology Services (ITS) is a nation-wide ATM service provider. During the first half of 2015, Ecovantage was commissioned to undertake a lighting upgrade in their warehouse and office facilities at their head office. In the warehouse, 31 400W metal halide high/low bay lights were used to illuminate the space. In the high ceiling entry area, the 400W lights were replaced with 135W LED low bays. In the mezzanine area where the ceiling levels are much lower, we were able to replace the existing lights with even lower wattage 90W LED low bays. In other parts of the warehouse the existing fluorescent tube fittings were retrofitted with brand new LED tubes, reducing the consumption of each tube from 36W to just 15W. By bypassing the ballasts which also use energy, the electricians not only reduced energy usage further but extended the life expectancy of the LED tubes. 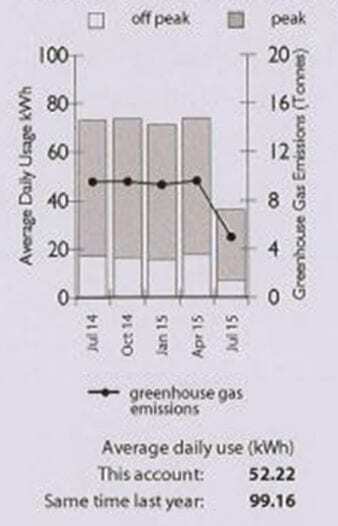 The upgrade has created an impressive energy reduction in the warehouse. The first bill since the upgrade shows that energy consumption has already been halved, and this bill does not even cover the full period since the upgrade was undertaken! The new LED lights come with extensive lifetime ratings of 50,000+ hours, backed by five year warranties. So ITS has the peace of mind that they will no longer be frequently changing globes, further increasing their savings especially where access is difficult. As an accredited certificate provider under the NSW Energy Savings Scheme (ESS), Ecovantage was able to access rebates which significantly reduced the cost of this upgrade, and helped further improve an already strong business case. The rebates were offered up-front, which minimised ITS’s capital outlay for their new lighting.